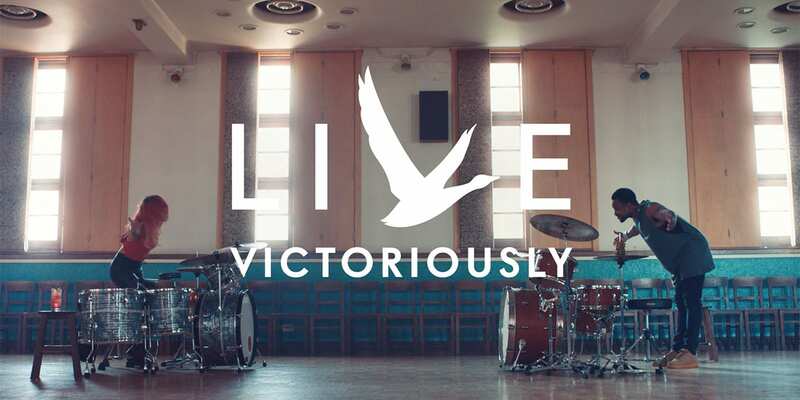 Live Victoriously is part of Grey Goose's efforts to not just be viewed as a premium vodka. In an effort to reverse a decline of about a decade in market share, Grey Goose is launching a global rebranding to reconnect emotionally with consumers while preserving its super premium brand bona fides and price point. The marketing refresh, titled Live Victoriously, is an answer to consumers’ demand for more authentic and relatable luxury brands. They also want an acknowledgement that drinking Grey Goose, a storied 22-year-old French brand that touts the highest-quality ingredients and a completely traceable production process “from crop to cork” with its cellar master, can no longer be reserved for austere and infrequent special occasions but rather by celebrating the large and small moments that personally matter to consumers. 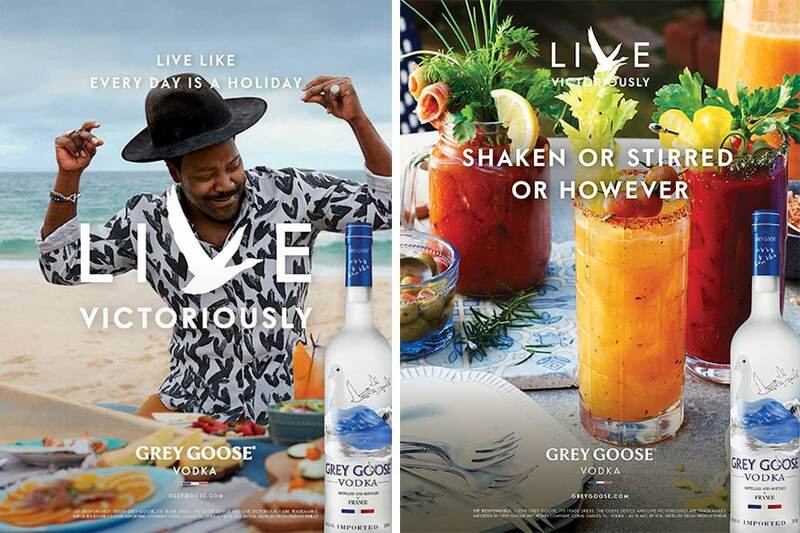 “This is a luxury brand and has legitimate credentials as a superior product, but the consumer was not emotionally connecting with the brand,” said Lee Applbaum, global chief marketing officer at Grey Goose. 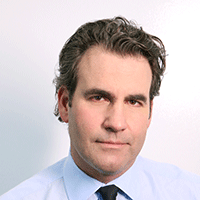 Applbaum looked at 10 years’ worth of consumer data associated with the brand and the vodka vertical in the spirts category in general, then boiled it down to the insight that Grey Goose has been seen as authentically French and therefore slightly inaccessible as opposed to authentically relatable and available. This perhaps comes from the fact that each bottle is distilled in France using single origin Picardie wheat from the brand’s own limestone well in Gensac-la-Pallue, France. With that said, though, Applbaum is not willing to have Grey Goose join the race to the bottom in terms of price compression sweeping the vodka category. Applebaum, who is also the CMO of Patrón (both brands are now owned by Bacardi), borrowed a lot of the nimble, entrepreneurial and experiential learnings from helming the tequila brand as he globally tore down and rebuilt every piece of Grey Goose creative in the lead up to the Live Victoriously launch. The new brand platform will deploy integrated creative, designed to make the label more accessible and a go-to choice for even the most ephemeral of moments. The Live Victoriously TV spots reinforce this emotional connectivity by showcasing either a lead character or group of characters who are young, diverse and vibrantly committed to enjoying the party with spontaneity and swagger. The 15- and 30-second TV spots, directed by Fredrik Bond, are driven by energetic music tracks and overlaid with taglines that include “Live like you’re the special occasion,” “Live like every day is your birthday” and “Live like your phone doesn’t exist.” They will be airing through June across cable entertainment networks, prime-time network television and sports programming. 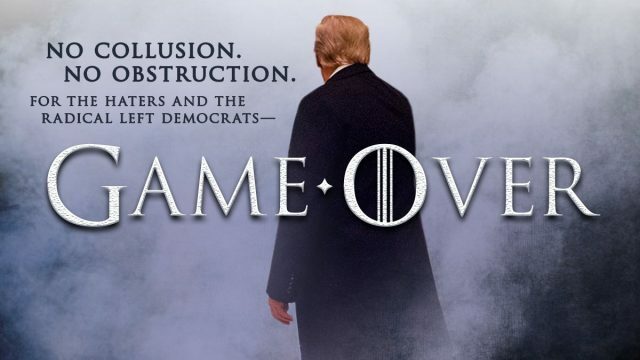 Out-of-home billboards will also feature the campaign creative within major markets like New York, Chicago, L.A., Miami, Washington D.C., Las Vegas and Atlanta, along with national print media outlets such as Esquire, Rolling Stone to Food & Wine Magazine. Applbaum declined to say how much Grey Goose was spending on the rebranding campaign but said the U.S. media spend alone will be 44% higher than the year prior. Grey Goose is also relaunching its digital and social platforms globally by transforming Grey Goose’s site into an immersive, interactive website enriched with custom content. Additionally, Live Victoriously will be supported by exclusive media partnerships with top content hubs like Hulu, Spotify, The Skimm and HypeBeast. MullenLowe U.S. was recently brought on as the new creative agency of record and executed the Live Victoriously platform launch. In addition to MullenLowe, Grey Goose named Publicis Sapient to lead its global digital and social strategy to drive the digital transformation of the business. These two partners are charged with delivering on Applbaum’s commitment to holistically overhaul and reposition the brand’s identity. To celebrate the launch of the Live Victoriously platform, Grey Goose took over happy hours in New York and London Tuesday, serving post-work bar crowds with surprise performances from some of the world’s most famous comedians. Posing as on-duty bartenders for the evening, comedic talent, which included Jamie Foxx, Aidy Bryant and Colin Jost in New York and Jack Whitehall in London, served up cocktails alongside spontaneous stand-up acts.